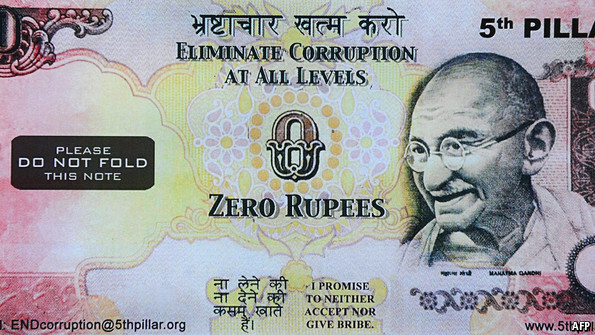 More than 2.5m pieces of the Zero-Rupees has been distributed by 5th Pillar since 2007 with the leaders of the campaign branding it as a "non-violent weapon of non co-operation", and activists from Nepal, Benin, Argentina and Mexico making inquiries about the notes. Malaysia has already conceived a similar project, while in Yemen, a worthless note like the Zero-Rupees, will be launched next year. 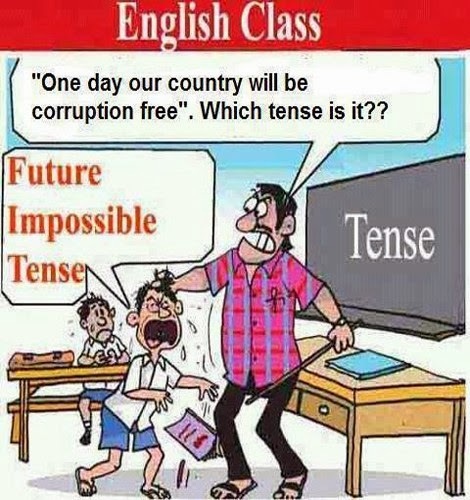 The whole idea is to embarrass corrupt officials, and make them feel stupid, considering the fact that most corrupt officials hurriedly pocket the bribes they receive, even though givers are steeled to hand the notes unfolded. This campaign may equally be effective in Ghana if we are seeking to change the mindsets of our corrupt officials, especially those in the public sector. The media is playing a major role in the fight to eradicate the canker and that will be advantageous to using worthless notes. Some experts on what is known as civil resistance campaigns are of the opinion that worthless notes offer some protection to givers, if in case the receiver is annoyed with receiving the note. That is, indirectly communicating to the receiver, the givers affiliation with a larger group who are fighting against corruption. Don't be surprised if I give you some zero-cedis notes for your wallet. It may happen sooner than we all think. "Corruption deε εnyε!!!" Corruption in our part of the world is more a problem of culture. It will take a very determined President to bring change. Measures similar to the zero value note will reduce the amounts corrupt officials amass but not by much seeing as the high volume transactions are done through the banking system. I agree with you, but this is a move targeted at government officials who make cash demands, directly or indirectly from people in need of their services. we can talk of the police, officials at the passport offices, birth and death registration centers, and GRA officials. Thanks for your contribution. Duly appreciated. Sε wo nim dedaw Aku, εnyε koraa. This is a brilliant suggestion. The problem I foresee is the police becoming away of the fake currency and dealing with you "well well" when they detect you giving it to them. Lol, this will be a campaign, and the police will know the giver is a member of an organisation of anti-corruption activists. Attempts to deal with him/her will only expose the officer. I love this idea! So where are you going to make these zero-cedis? Haha. Great one again Terry. I'm happy when bloggers like you to talk about these issues.